Happy Hanukkah from OUP! This year we’re celebrating with a series of eight books celebrating Jewish history and culture over the eight nights of Hanukkah. As your menorah candles burn bright, take this opportunity to honour both the endurance of the Maccabees and the Jewish people. 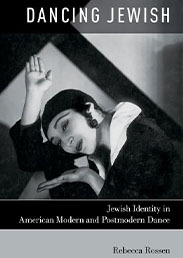 This blog post is written by Rebecca Rosen, the author of Dancing Jewish: Jewish Identity in American Modern and Postmodern Dance. Rosen introduces us to two women who performed in Hasidic drag during the 1920s and 1930s. On 27 February 1932, the American modern dancer Pauline Koner presented a concert at New York City’s Town Hall. For the occasion, Koner, who was Jewish, premiered Chassidic Song and Dance, a solo in which she portrayed a young Hasidic Jew. Her characterization of an Eastern European Jew was not so different from the other exotics that constituted Koner’s repertory in the 1930s. Indeed, aided by vibrant costumes (and her mother, who would assist in swift costume changes backstage), the soloist would effortlessly transform herself into an array of foreign types—Hindu goddess, Javanese temple dancer, Andalusian maiden, Italian signorina. Yet Chassidic Song and Dance offered a critical distinction. In all her other solos, Koner portrayed female characters; in Chassidic Song and Dance, she presented herself as a boy—in Hasidic drag. 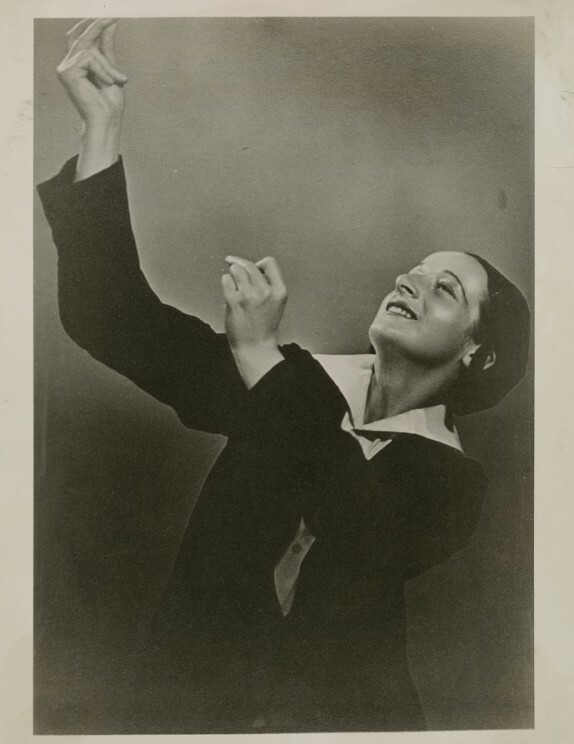 Interestingly, Koner was not the only Jewish female dancer performing in Hasidic drag on New York City stages and screens in the 1920s and 1930s. In Bar Mitzvah (Chassidic) (1929), Belle Didjah depicted an Orthodox youth on the verge of manhood; Dvora Lapson created a number of Hasidic solos including Yeshiva Bachur (1931), Beth Midrash (1936), and The Jolly Hassid (1937); and Benjamin Zemach outfitted a cast of male and female dancers in Hasidic garb for a 1931 concert. The most famous Jewish drag performer was Molly Picon, a seminal figure in Yiddish theater and film who frequently cross-dressed in such Second Avenue stage hits as Yonkele (1922–25) and the films Ost und West (1923) and Yidl Mitn Fidl (1937), presaging Barbra Streisand’s Yeshiva “boy” in Yentl (1983). Why were these women drawn to Hasidism? Dance was an acceptable form of expression and exaltation in Hasidism. Thus, it makes sense that Jewish female choreographers working in American concert dance would look to Hasidism as a source for inventing modern dances on Jewish themes. However, each of these performers had different relationships to Judaism and Jewish culture, and their identities as Jewish women impacted how they represented Jewishness in performance. For Koner, who had grown up in a secular home, Judaism was foreign and mysterious. In her autobiography, she likened her occasional childhood trips with her grandfather to a Lower East Side synagogue to visiting a distant land: “To me it was all wondrous theater.” Koner’s approach to representing ethnic material on the American concert stage was to transform it through creative interpretation and invention or, as she explained it, to capture “the flavor rather than the fact.” The actual choreography of Chassidic Song and Dance is not documented, though a stunning photograph of the dancer still exists, depicting her as a Hasidic boy with peyes (side curls), black cap, and black suit. In it, the dancer’s vivid features are highlighted by makeup and her body is positioned against a backdrop of angular shadows. Koner made the Hasidic Jew soulful, yet glamorous. At the same time, by performing so many ethnic types on one program, she suggested that these characterizations were all an act. To a certain degree, the choreographer represented the Hasidic boy, the Hindu goddess, and the Javanese temple dancer in the same way—from a distance, reinforcing her distinction from all the exotics in her repertory. She could portray the Jew, but Jewishness did not define her—she could put it on and take it off at will (or through swift costume changes between acts). Dvora Lapson in Yeshiva Bachur (House of Study). Photographer unknown. Courtesy of the Jerome Robbins Dance Division, the New York Public Library for the Performing Arts, Astor, Lenox and Tilden Foundations and Beril Lapson. It is significant that Hasidic drag thrived on the American concert stage during the 1920s and 1930s. By the late 1920s, American modern dance had already emerged as field in which female artists were making great strides by creating dances that portrayed women as autonomous subjects. When they commanded the stage as solo artists, female performers also asserted their ability to play an active role in American society. While Lapson’s dances aimed to increase American audiences’ understanding of Jewish culture and traditions, Koner’s Chassidic Song and Dance emphasized Jewish difference. It should be noted, however, that Koner premiered the dance at a benefit supporting the seventh anniversary of the Pioneer Women’s Organization of America, a left-wing association that rebuffed the chauvinism of American Zionism and aimed to educate Jewish women to become equal participants in a just society. Although their approaches were distinct, both Koner and Lapson used dance to intervene in a patriarchal religion that restricted women’s participation in religious and public life. By dancing in drag and by dancing solo, they subtly demanded a platform for women in Jewish spheres while underscoring women’s growing leadership in American modern dance and modern Jewish life. Featured Image credit: Simple microphone shot on the stage by Matthias Wagner. Public Domain via Unsplash. Rebecca Rossen is Assistant Professor in the Department of Theatre and Dance at The University of Texas at Austin.